Do I Need to Pre-Clean My House? 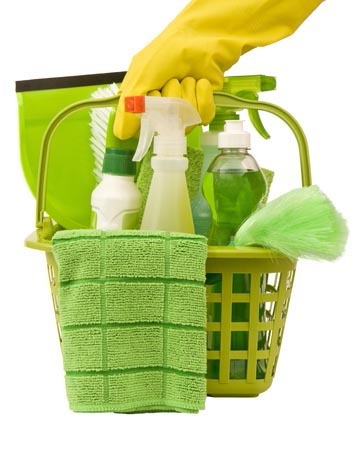 You have finally made the important decision to hire house cleaners to take care of your Phoenix home. It is time that you stepped back and let the professionals handle this important job for you. Your first step was to meet with the professionals at Maid Complete in the Phoenix area and come up with a list of chores to be completed by your new house cleaners. Now it is the night before your cleaning crew is set to arrive for the very first time. The house is a wreck, so you start picking up toys, loading the dishwasher, and sweeping the kitchen floor. But wait! Isn't that what you have hired our professionals to handle? Yes, but it is important to understand what type of cleaning you can expect from the services you have scheduled. Many homeowners struggle with the dilemma of whether or not to pre-clean their home before Maid Complete cleaners arrive. If you are one of these who is wondering what pre-cleaning is necessary, first consider why you are asking the question: do you not understand the service you have requested, or are you afraid our professionals will think your family is messy? If it is the latter, don't sweat it - we're here to help you keep your home clean and tidy. We understand your lack of time; that's what we're here for. But, if you are worried that there are certain chores you need to handle prior to your scheduled visit then it is time to quickly review your contract and your cleaning schedule. You should have received a complete list of the tasks that have been ordered. Does it include sweeping and mopping your hardwood floors? If so, then leave that for the crew. In most cases, however, general pick-up service is not included. This is something you need to have done before the cleaners arrive. The truth is that you have hired cleaners to come into your home because you can not keep up with your daily, weekly or monthly cleaning tasks. That does not mean that you can (or should) trash the place before they arrive. Remember, a professional cleaning service is there to help you handle those harder scrubbing jobs you either can't do on your own or do not have time for right now. While your housekeeper can easily pick up a few items and work to tidy up each room on a basic level, if they spend too much time picking up and organizing, they won't have the time left to handle the deep cleaning that you expect. When hiring cleaners for basic or regular services, keep in mind that this does not include cleaning things like the inside of the refrigerator; washing dishes; wiping windowsills, blinds or moldings; cleaning up after pets (litter boxes, urine control, etc. ), doing laundry; changing bed sheets, etc. Another thing to consider: house cleaners are not responsible for moving large pieces of heavy furniture. So, if you want them to clean behind your large sofa, you will need to pull it away from the wall prior to their arrival. Of course these are all tasks which can be negotiated into your contract, but are not considered part of regular weekly cleaning jobs. When more advanced cleaning tasks come up, you may want to consider adding on a specialty service like deep cleaning; move in and move out; or seasonal cleaning to your job request. Adding on these services can all be arranged by contacting your Maid Complete service representative in Phoenix.